Back to "final" maps. Show all maps. Large units cannot pass through the passage in naturals. Mineral blocks are 64 each. Suprisingly there is no path issue. What is the 3rd gas? Well it depends! The bridge expansion, corner expansion and the gas expansion in the main are all great options! Jamssi and I cannot agree on which is the 3rd gas since I like to take the bridge expansion but jamssi usually takes the one in the main and almost never expands to the bridge one. This creates interesting situations in the lategame! Looks very interesting. 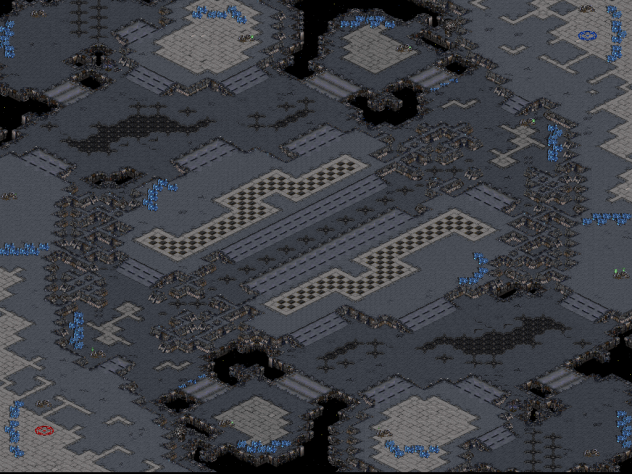 My only point of criticism would be that this one again gives me the impression that it should have been bigger (like 128x112) to have more space to accommodate all those expansion and avoid clustering up like around 3/9 o'clock. In what way are these maps both siabbo's and jamssi's? Like one guy makes the concept and the other executes it or something? How are you guys doing it? I don't know why, but I kind of want to move the mineral only bases so they're not so close to the mineral wall in the main. Like, maybe put them on the other end of the elevated platforms they're on? About the mineral only, it looks pretty clustered because natural and the expansion in the main is so close to it. In reality, it's actually quite far from the minonly since you have to do some tricky movement to secure the expansion from the gas-side. Moving the minonly to other side of the platform could wouk but I'm afraid that it would be in a way when large armies are making through. Still, it's something to think about for sure. This map was created in a way that I pretty much created the concept. What I had done was edges of the map, placed expansions, bridges, main concept etc. What I was having problem was the middle. So jamssi came up with this idea and I immediately thought "Hey, that sounds pretty cool and might just make everything work here." Then we worked together and discussed ideas. So usually it goes like this, I come up with a concept and make a raw sketch and then jamssi does all the rest in the editor. In this case, after jamssi started editing the map we discussed a lot about certain things, ofcourse. One of these was the minonly, for example. We think that in this case the end result turned out very nicely. Can a tank drop hit the 3 expansions if it is in that main area behind the mineral only? I don't think that's possible but gotta test it. A tank drop can definitely hit the Natural and mineral wall base from the same siege position. Furthermore, the mineral bases' geysers are in Tank range (and even Marine range) from the minonly. This is what I mean by clustering. They should be spaced out more, which is why the map should be bigger. I'm not confident that is a real problem because there will be games where tank drops aren't an option. For example, one could use the expansion layout very differently depending on the matchup, so basically it would be just a regular tank drop, which by the way aren't that usual against zerg or protoss in the first place. 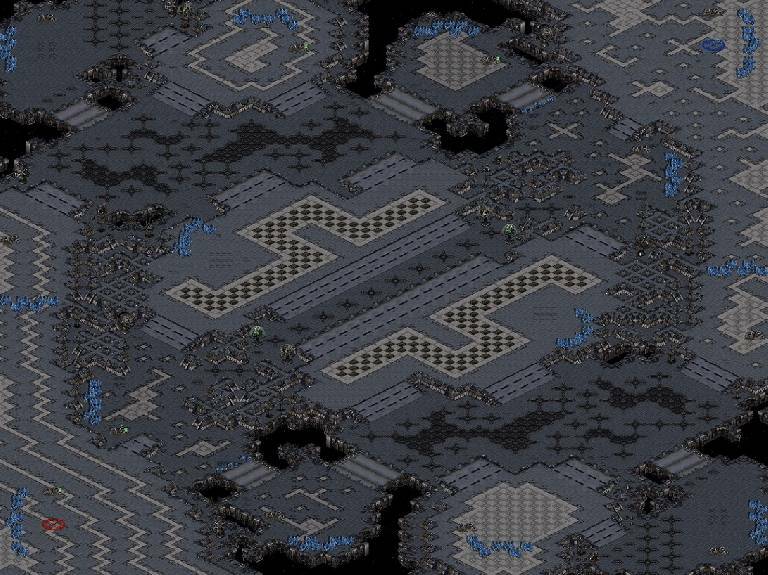 Remaking the map as 128x112 is a possibility but wow that is a lot of work. We could also try to use the open space between minonly/mineral wall/corner expansions and move minonlies little bit higher/lower. This would probably also give possibility to move mineral wall a little bit. However, there isn't much space to play with but maybe it can be adjusted a little bit. Still, I have a feeling that even if the map would be 128x112 the change wouldn't be that significant. Even now, the map plays fine and the distances seem, by ground units, really good. If the map would be bigger then these distances, which feels really nice at the moment, would also change. Is changing this just because of air distances worth it? I don't know. I think you are underestimating the problem a bit. On maps like Outsider, where tank drops can deal a lot of damage very efficiently, they are definitely a common part of the meta. Tank 1 can hit the geyser, resource depot and half the minerals of the wall base (which should have more than five patches, I think. More like eight with some reduced ones seems appropriate) without even the need for a drop. It also covers a good chunk of the ramp from the nat is overall dug in pretty deep, hard to snipe if the Terran also has some other units to buffer for it. Tank 2 has complete reign over the mineral lines at both gas bases and might even be able to hit the resource depot at the nat. Tank 3 covers all three mineral lines and all of the nat and is dug in very deep, too. Even tanks on the low ground between ramp and natural can hit all three expansions. Luckily that looks like it can be fairly easily adjusted. We'll see. Another thing yo should change is to allow scarabs to pass at the sides of the barrier minerals. Why is that? And if scarabs can pass can zerglings pass also? I actually don't know this. 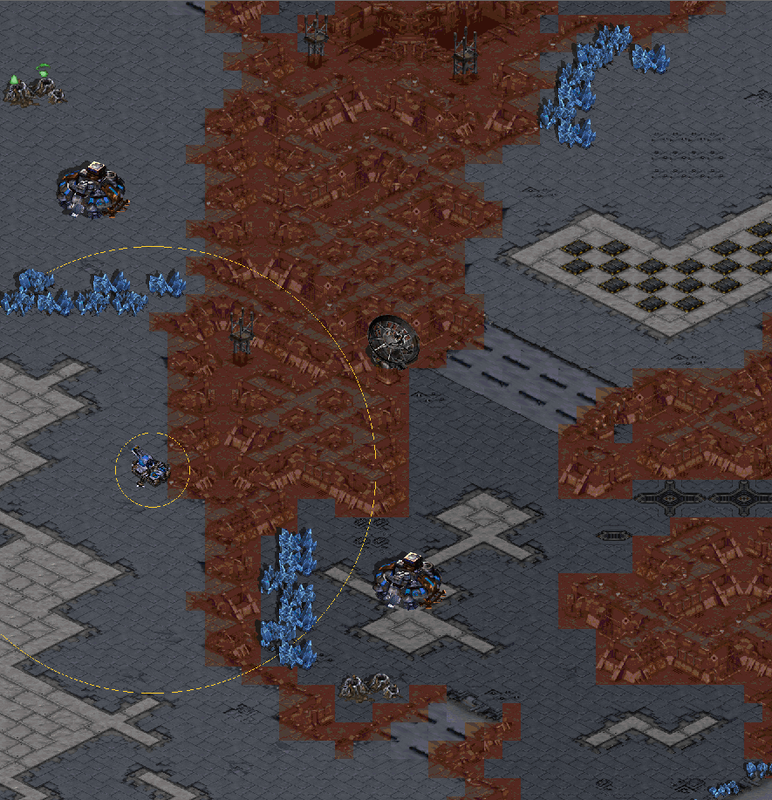 Anyway, if I think that if reavers can shoot the minerals from the other side, that would be too good for protoss. Zerg would have miserable time against that since zerg likes to take the wall as a minonly anyways. Same can be thought about pvp or maybe even pvt. I think reaver harass would be too good in this case. No. Scarabs only have 3x3 pixels collision size and can slip through a 1 minitile gap whereas Zerglings are 16x16 pixels big and need a 2 minitile gap to fit through. If they don't have a gap Reavers still fire, but all the Scarabs just dud out. You know about Debug/Enable debug + Show Unit collision sizes, right? When Lurkers or Tanks can harrass the mineral line from behind, Reavers should be allowed to do it, too. Outsider allows it and is nonetheless considered very Z>P nowadays ; likewise any other modern map with mineral walls has Scarab gaps. That being said: the gap to the left, next to the Tank 1 position is 2 minitiles wide, which means Zerglings can slip through there. EDIT: Disregard the last paragraph. Actually, Lings cannot slip through in this case because the pathfinding regions on both sides are disjoint. You can drop units in a tank hole behind the geyser, though. What do you guys think? Is this acceptable or should we push the mineral wall closer to the ramp so there is no way that tank can shoot both expansions from one spot. Honestly, I think this is just fine (the tank still needs vision to shoot that far) but we could move the wall farther if it's needed. The distance is a bit long if we still move it farther way, now it still feels okay. Still, even if it is farther away I think that is still okay since it is not a natural expansion or even a minonly. Another big change is that the mineral wall now has 7 nodes but each of them has only 749 minerals. Now you cannot properly mine all the wall patches from inside the main, so workers will probably bug out if you try. Oh, right, will fix that. :D Anyways, what do you think about the tank range and minonly now? Also, because patches on the wall will have to be lowered to 5 or 6, I guess they will be about 1000 each. 1500 feels a bit too much since there is already a minonly and opening the wall faster make games more interesting. 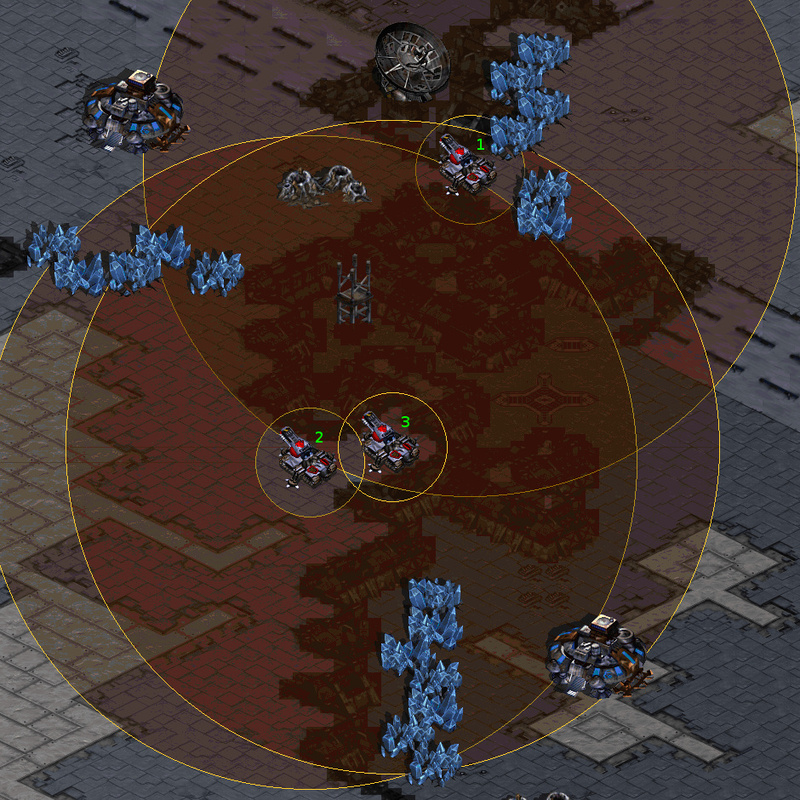 I think it's fine, if the Terran manages to get Tanks back there, then it serves the P/Z right if they lose. Thanks for choosing this map. We have updated the version. We will also add some more decoration. nice map, trying it out, but can't host obs version for inhouse non stats play. is there any observer maps in the future for this one? Now there is Obs version. GL HF! I'm not sure what to think about Planum. That's the beauty of it! Fun to play that's for sure.